The ERU holds their AGM and banquet on November 15 this year. The 3rd Div men will be receiving their plaque for winning cities at the ceremony. If you are interested in attending, tickets are $40 as we already have over 8 people committed. AGM is at 2 pm, cocktails at 6 and dinner at 7. We have a bunch of the women going this year already, so it would be awesome to see a bunch of the guys come out too. For more information, please email Michelle Maycock, or you can purchase your tickets directly through Carmen at erp@edmontonrugby.com or 780-988-5245. Congratulations to the Div 3 Men on their successful season. 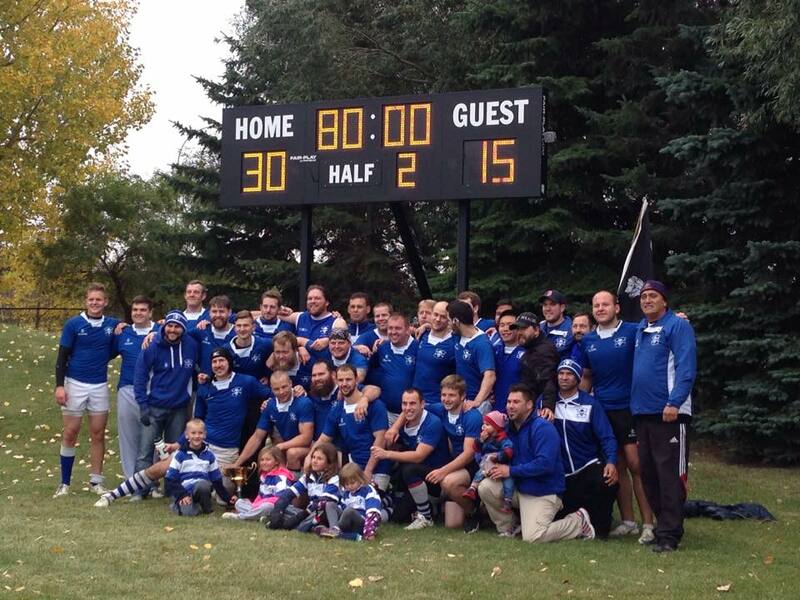 After winning the ERU championship at the end of September, they put the boots on one last time in Calgary to challenge for the provincial title. Sadly, it was a loss, albeit a close one, with only 2 points separating them from the winning Calgary Canucks. Thank you for all your hard work this season! We look forward to another exceptional season of rugby in 2015! Time is running out to get your banquet tickets. Please contact Melissa Dziwenko to get yours. The AGM has come and gone and with it a new board for 2015 has been selected. Please see the contact page for the list of board members.